Warner Bros. has seemingly confirmed it is working on a series of movies involving the DC comics villains. The entertainment company have reportedly been lining up a whole host of movies based around the iconic arch nemesis' of heroes such as Batman and Superman, including two films starring The Joker, as well as spin-off movies for Deathstroke and Harley Quinn. The DC villains last came together for 2016's 'Suicide Squad', and although the studio is remaining tight-lipped about which villains are getting their own projects, new information on their website seems to confirm new projects centring on both heroes and villains are in the works. In a biography written for Walter Hamada - who is the President of DC-Based Film Production at Warner Bros. - the company's website reads: "Walter Hamada is President, DC-Based Film Production, Warner Bros. Pictures. In this role, he oversees WBP's slate of films based on Super Heroes and Super-Villains from DC, as well as titles based on other characters and stories also licensed from DC, including its Vertigo and MAD Magazine imprints. "Hamada draws upon resources from across both WBP and New Line Cinema and works closely with Geoff Johns, President and Chief Creative Officer, DC Entertainment." 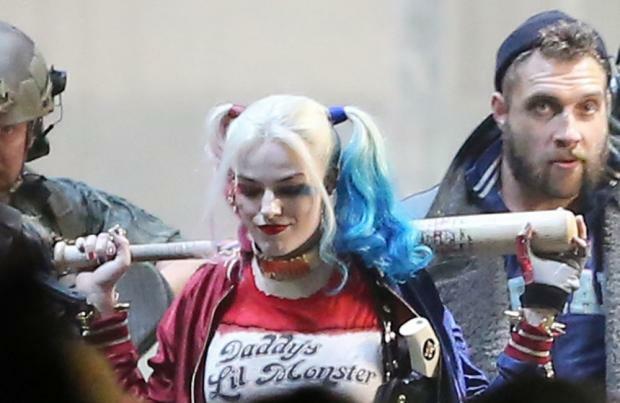 Meanwhile, it has already been confirmed that Batman villains The Joker and Harley Quinn - who are currently portrayed by Jared Leto and Margot Robbie respectively - will be getting their own movie, which is said to be focusing on their "messed up" love story. Margot said previously: "I'm personally a sucker for a love story. In any iteration. I think people enjoy seeing two characters who, in Harley and Joker's case, would die for one another. It's kind of romantic in a messed up way." It has also been reported that Martin Scorsese was set to helm a separate story centred around The Joker, which would not feature Jared in the role.